Hey guys, here I am again! Sorry for not posting this week but life has been hectic and all over the place since I had my first theatre performance of the play I act in yesterday (think lots of rehearsals, late nights and no sleep for the past week). But now yesterday is over and we still have three shows to play (today my second one), and I am feeling relieved because now all I have to do is just play and not think about where/when/how/what I have to do on scène, I just know. Wonderful feeling if you ask me! Now on to fashion again! Fashion month is in full business, we have already passedNew York and London, and Milan Fashion Week is coming to an end too. I know I'm a little late on this but pardon me and blame it on the crazy schedule I've been living the past weeks. 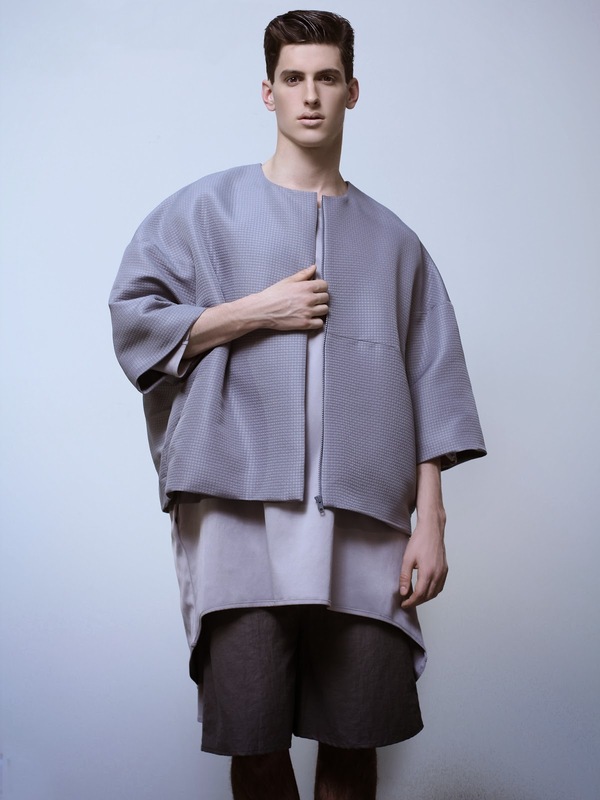 One designer that really caught my eye on London Fashion Week is Pedram Karimi, an emerging designer from Teheran living in Montreal. His pieces are androgynous, edgy and minimalistic, but with great details and tailoring. I wouldn't mind seeing everything he designs in my closet! 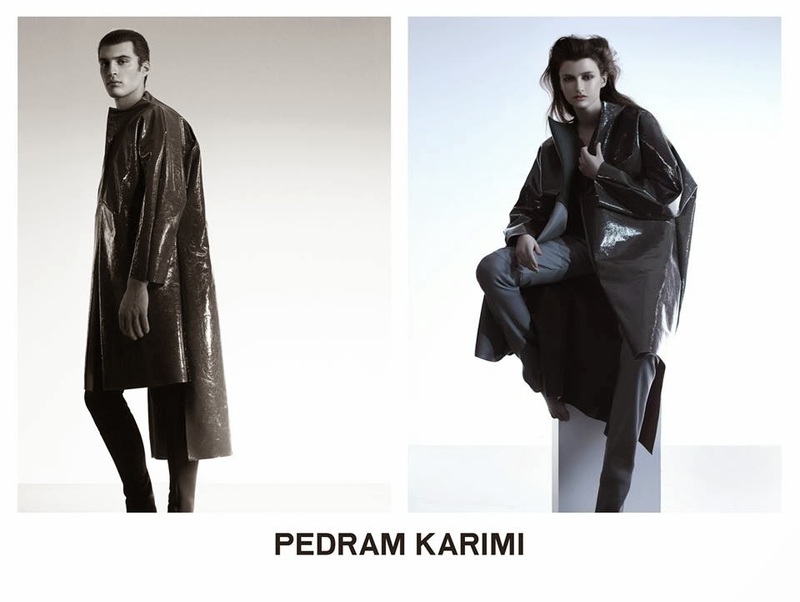 As you can see, Pedram Karimi doesn't use lots of color or eclectic prints. The designs stand out in simplicity and catch the eye with their fabrics and cuts. I love adore them! I actually would wear EVERYTHING he designs. 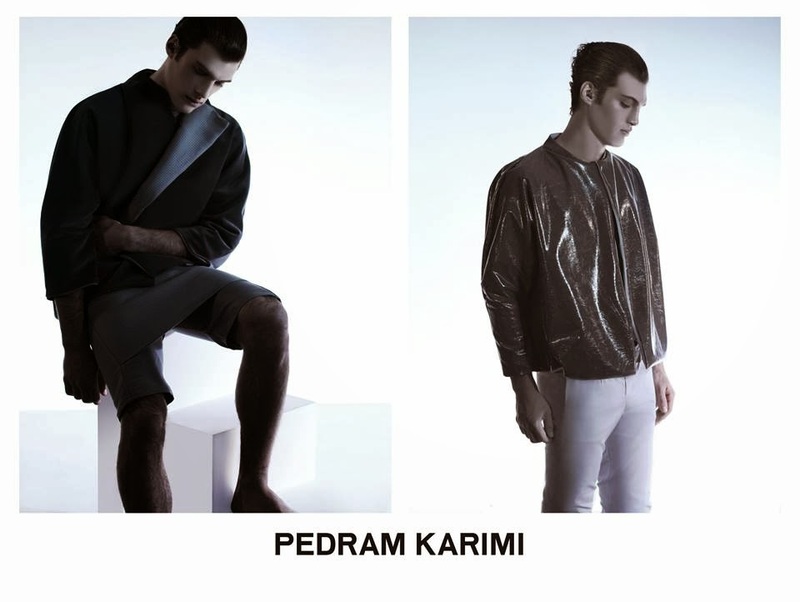 How do you like Pedram Karimi? Oh wauw! Ik vind het altijd zo indrukwekkend hoe sommige designer met 'eenvoudige' lijkende designs zo'n mooie collectie kunnen neerstellen. Iets minder fan van de lange jassen wel. Die hebben net iets te weinig vorm naar mijn smaak.